My friend and I originally planned our trip to Nepal to go trekking so we can see the Himalayas. Unfortunately, that didn’t happen because of the limited travel period that we had. Instead, we explored Kathmandu and went to Pokhara. Pokhara is the gateway to the Himalayas. It is a popular place for tourists to start their adventure trips and various trekking trail and expeditions. Although my friend and I wouldn’t be trekking anymore, this lovely city is still a wonderful destination to visit. There are plenty of other things to do in Pokhara. It has a number of tourist attractions and exciting adventures that tourists can enjoy. 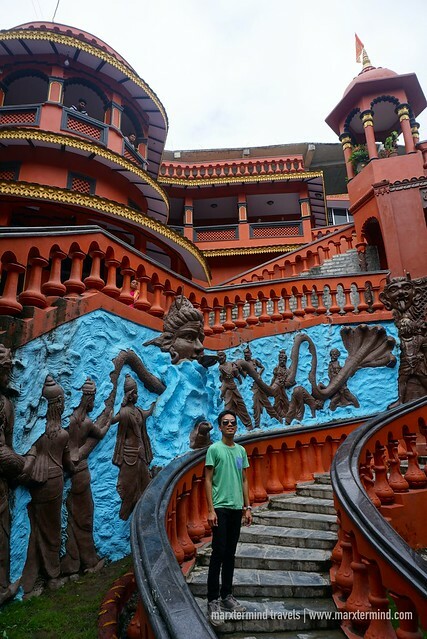 Even without joining a trek tour, tourists can also see the magnificent mountain range from different viewpoints in the city. How to go to Pokhara? Pokhara is located 200 kilometers west of the capital Kathmandu. It can be reached by land or by air. Some of the airlines that operate regular flights from Kathmandu to Pokhara and vice versa are Yeti Airlines, Buddha Air and Simrik Air. Price is around $120 per way with a flight time that could only take for 20 minutes. But if you are you on a budget and have time to travel by land, there are buses available. A ticket for a crowded local bus could cost for as low as NPR 400 ($4) per way. But if you want a little comfort and convenience, I suggest taking a tourist bus. Price per person is around NPR 700 ($6). Travel time by bus could take for 7 to 12 hours depending on the traffic. Tourist buses leave Kathmandu at exactly 7:00 AM. Night buses are also available. 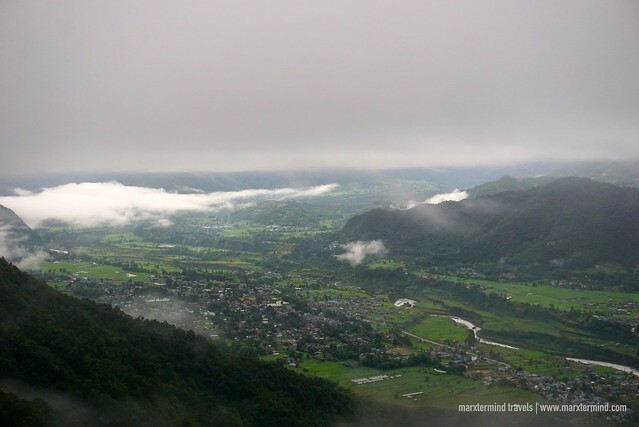 Another way to reach Pokhara by land is by renting a car. There are many travel agencies available in Kathmandu. Prices vary depending on the type of car as well as the time of year. Touring around Pokhara is easy. There are taxis available that could take you to most of the tourist spots. There are also a lot of travel agencies offering sightseeing tours. In three days that we explored around Pokhara, we actually did both. But we found it more convenient and cheaper to arrange the tour with a travel agent. We actually went to the tourist attractions in the different days but in reality, it can actually be done in one day. 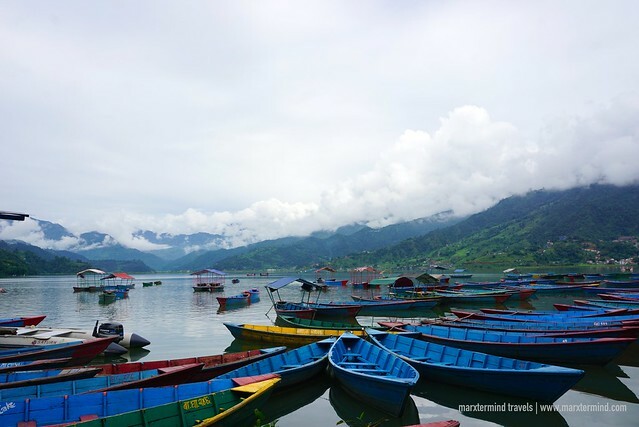 Here are some of the things to do in Pokhara. These are the first two tourist spots that we visited in Pokhara. We went to these places in the morning by taxi. These two are just nearby from each other. Devi’s Falls is a scenic waterfall that travels through caves and underground tunnels. The place was once considered as a suicide point since the locals as well as the tourists jumped from the cliff down to the bottom of the fall. After an increase in such case, safety measures were applied by constructing metal fences around the cliff. 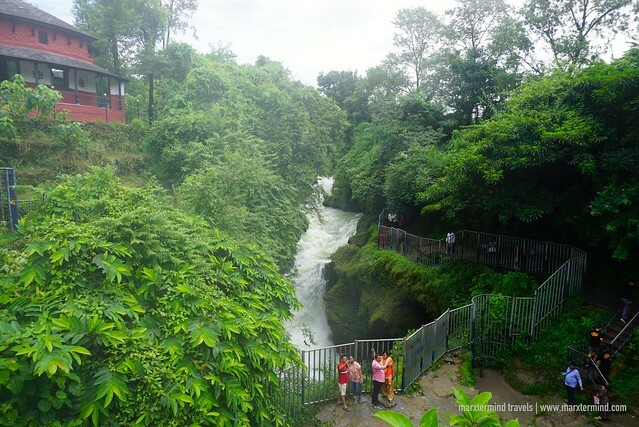 Gupteshwor Mahadev Cave is another tourist attraction that we visited, which is just located across Devi’s Falls. It is the cave where the Devi’s fall actually leads to. It also has a huge stalagmite worshipped as a Shiva lingam. World Peace Pagoda, also known as Pokhara Shanti Stupa, is a Buddhist pagoda-style monument sitting on top of Anadu Hill. It is a beautiful white big pagoda constructed by Buddhist monks from the Japanese Nipponzan Myohoji organisation. We went here in the afternoon joining a group tour. We went by car but to get to the viewpoint we still had to hike for about 30 minutes. 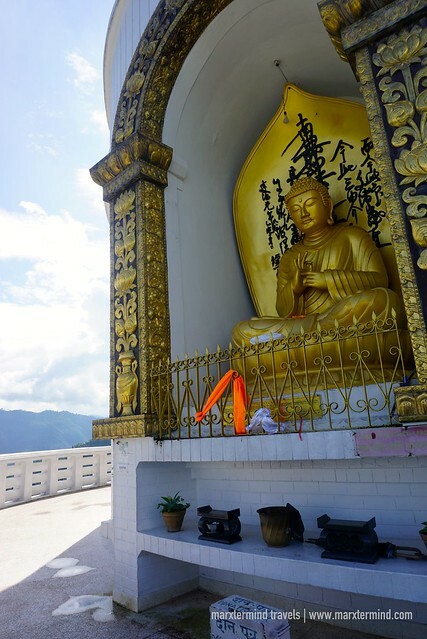 Aside from the massive Buddhist pagoda, the place is a great vantage point that offer spectacular views of Phewa Lake and the city. If the sky is clear, you can also see the Annapurna range. 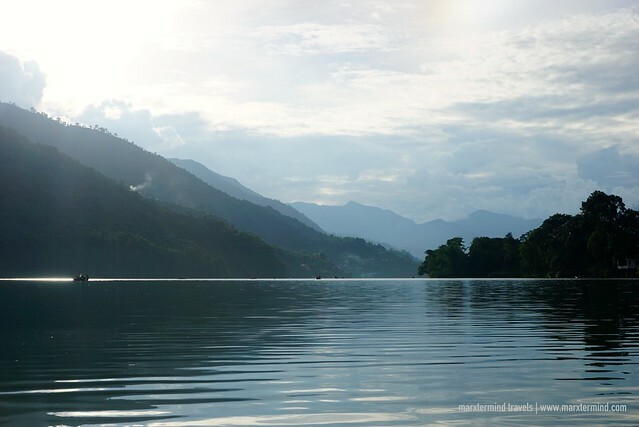 After we went to World Peace Pagoda, we settled for some leisurely time in a boat on the stunning Phewa Lake. It is one of the recreational things to do in Pokhara that I was able to enjoy. 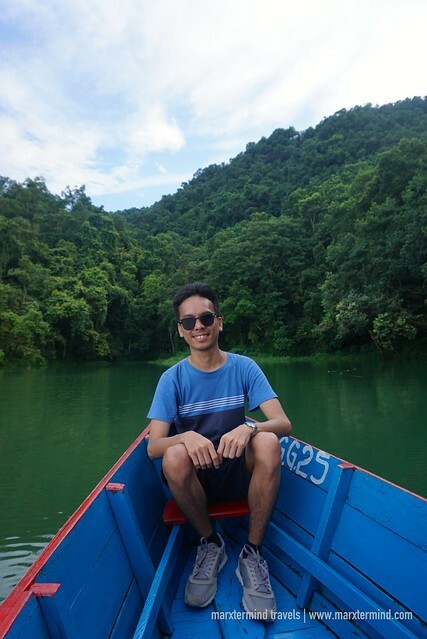 The lake is surrounded by beauty of nature and spectacular views that made this an enjoyable activity for me. On a clear day, this is also a perfect spot to see the Himalayas. Rate for boating with a guide is NPR 1,200 ($11) for an hour. Boat can fit up to 4 persons. Adding to the list of things to do in Pokhara is the Sunrise Viewing Tour at Sarangkot. 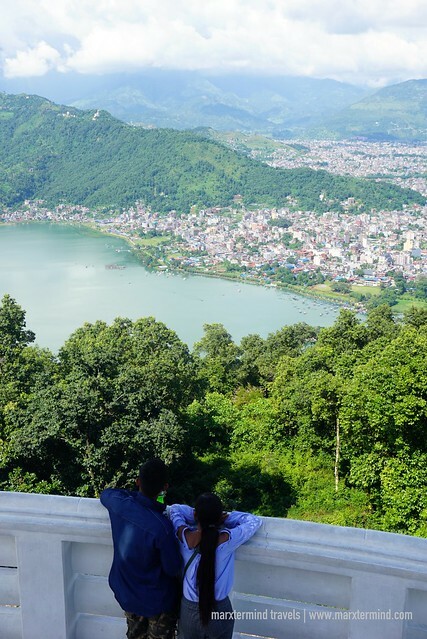 This place is the most well-known viewpoint in the city where tourists can have the amazing view of the Pokhara Valley and the magnificent Himalayas. We had this tour on our last day in the city. We rented a car from the same tour agency, which costs NPR 1,500 ($13). Our driver picked us up from our hotel at around 5:00 AM. Travel time to get to Sarangkot is around 45 minutes. It was raining that day but with high hopes, we still pushed through with the tour. After waiting for 2 hours in the viewpoint, unfortunately the mountains didn’t show up. The sky was gloomy and was really cloudy. Lesson learned – visit during the best months, which is from October to December. When the weather is clear, we can have an incredible view of the Himalayas. 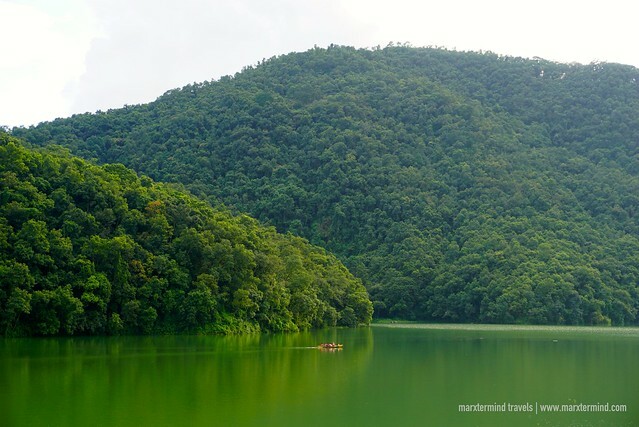 These are some of the things to do in Pokhara aside from trekking. A great tourist destination for nature and adventure activities, it is a wonderful place in Nepal that I’m glad that we visited. In three days exploring around, we were delighted to see some of the interesting tourist attractions. We enjoyed our vacation and certainly not our last time visiting this place.